Tear a page from an old calendar that has a scenic picture you like. Fold the page in half to find the center. Use a bowl to make an arch at the top of one half. With the page still folded together, cut out the arch to make the top of a heart. 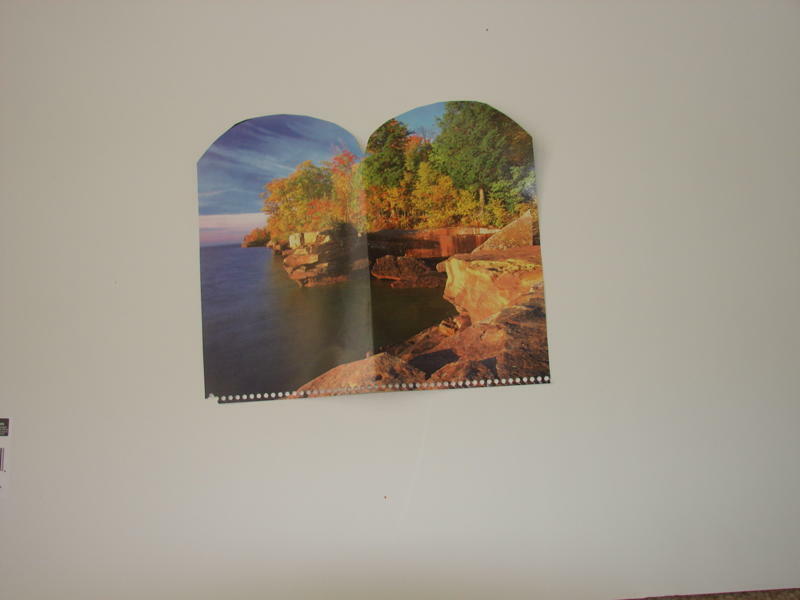 (See photo) Accordion fold the page to make a fan. Tie a ribbon toward the bottom to keep it together. When the fan is open it will have the shape of a heart. 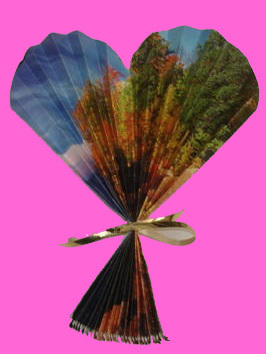 Give the fan to someone you love.